This is the kind of kit you want to keep everywhere and give to every loved one. Affordably priced so you can buy multiple kits to keep in your car, desk or at school. 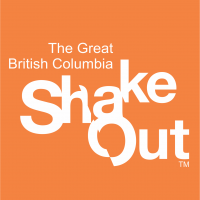 Are you a parent looking for an earthquake/emergency kit for your child to keep at school? This is the perfect kit for you and lasts for 5 years so you don’t have to keep gathering supplies every year. Supplies for 1 person for 2 days. Easily make it a 72 hour kit by adding extra food and water. Categories:Workplace Kits, Student & School Kits, Auto Survival Kits, Christmas Gift Ideas! This Individual Essentials Kit is made small to ensure it fits conveniently wherever you might need it. 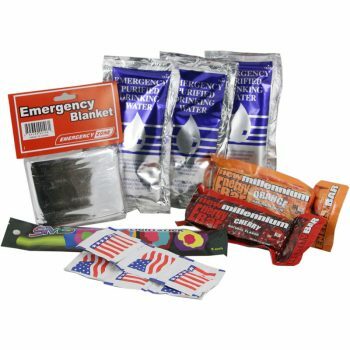 The compact kit contains essential survival gear, food, and water that will help you through the immediate aftermath of a disaster. It contains enough food for one person for 3 days. Though compact, there is still room in the kit to add a few small personal items should you require them (e.g. extra pair of glasses, medication, deck of cards). These kits make great gifts! The Individual Essentials Kit is a popular choice with schools and offices. Please contact us for large orders. 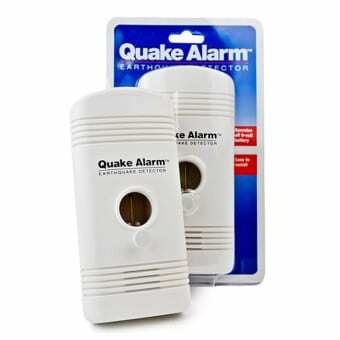 We would be happy to work with you to provide a kit that meets all your needs. Bag measures 9 x 8 x 2 inches. Clear front to see the contents. Durable zipper closure.